* Total number of reviews and star-ratings are based on data collected during the time period American Star Total Home Comfort has been using the ReviewBuzz system and may not directly match the data found on each public review site. I had a great experience with American Star. The 2 installers arrived promptly at 8am. They were very nice and professional young men. I appreciate that they kept me informed of every step they were taking so I knew what to expect. They were extremely neat and cleaned up perfectly after themselves. I’m looking forward to using them for maintenance on my system in the future. Tony did my furnace check and tune-up. He was very helpful and courteous. Will request him again! Tomorrow will either tie or beat the coldest temperature ever in the Chicago area, so I was very grateful for Adam's furnace tune-up, advice, and assurance that everything would be fine. He explained the various things he cleaned, checked and inspected in a way that made sense to me. Totally professional, capable, and just really nice person. Looking forward to having my air conditioner tuned up in the spring...if it ever comes. I had an old thermostat that was not reading the correct temperature. It would read 60 but felt like 80 in the house. 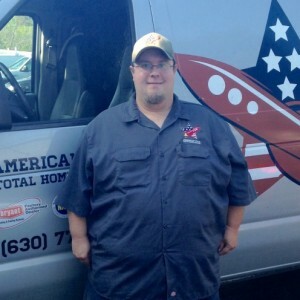 I used Angie’s list and found American Star Total Home Comfort. I called and got an appointment to have them come replace the thermostat. Adam Carlson was the assigned technician and did a great job. I purchased the EcoBee 3 directly from them. There was a $100 rebate on it that American Star applied directly to my bill so I didn’t have to wait for or handle the rebate myself. Adam had the entire project done in no time and cleaned up as if he was never there. I was very pleased with the service and price and would use them again for any future heating needs. Adam did a great job. Was punctual, professional and resolved my furnace issue. Chris installed out humidifier, he did a great job. Thank you for all the extra work you had to do to get it in our location. Great technician and always on time. Fair and reasonable on pricing and trust them 100%. And my toy poodle loves Adam. Very helpful, professional, get to the main problem and fix it. Very first class. They showed up when we were told they’d be here, thoroughly explained what they were about to do (replace the furnace) and gave a tutorial on the new furnace. The price was competitive and wasn’t up sold on things I didn’t need. Our furnace went out on Wednesday and they were here Thursday to replace it. I’m very pleased with American Start Total Home Comfort. Jon is GREAT!! 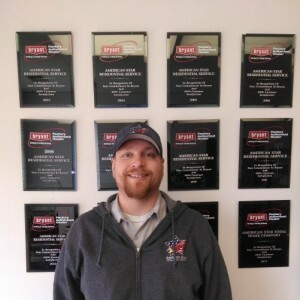 He is very professional and makes sure you know and understand everything going on with your furnace and a/c. 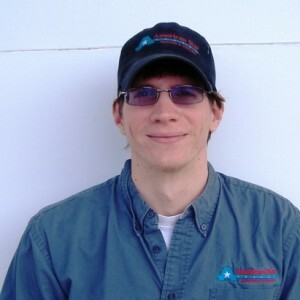 As always, Adam provides efficient service, but more than that he offers tips for furnace care. This technician is awesome! He deserves recognition and a raise.!! Have been with American Star since my install. They still are my go to company for all preventive maintenance. Adam showed up, on time, performed my scheduled service, checking everything completely and left work area clean. Adam was very pleasant and courteous. Luckily , Adam found no issuse. Jon G was very thorough in his explanations. He left the area clean. As always, wonderful service from the folks at American Star! Adam did a thorough job tuning up our furnace. We are all set for a safe winter! Service and followup was great and the technician was professional. Salesman and installers were professional and easy to work with. We are very happy with our new furnace and air conditioner. Would definitely recommend them. 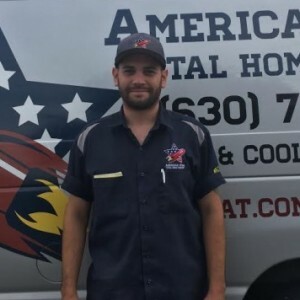 Customer service is always a top priority at American Star Total Home Comfort. Our BBB Membership A+ rating is like a badge of honor as we continuously strive to provide the best experience for our clients.